Carolina Forest is the kind of place you hope to raise your family in. The 9000 acre community, on highway 501, midway between Conway and Myrtle Beach, is almost a city in and of itself. Beautifully landscaped, with its own small shopping center, professional offices (doctors and dentists, etc. ), high school, middle school, and grade school, it is also close to the beach and all the shopping, dining and entertainment featured on the Grand Strand. With wide sidewalks, convenient for walkers, joggers and bikers, it is a warm and welcoming, family-friendly area. Bordered by 3 golf courses (Wizard, Man O’War, and Witch), designed by world renowned architect, Dan Maples, it is also a golfer’s dream community. 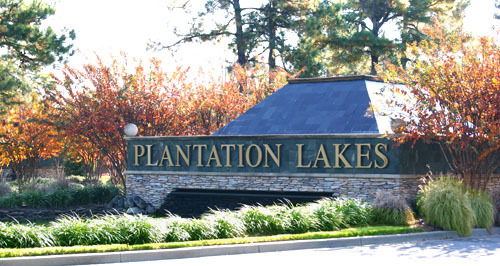 One of the more exclusive golfing neighborhoods within Carolina Forest is Plantation Lakes. 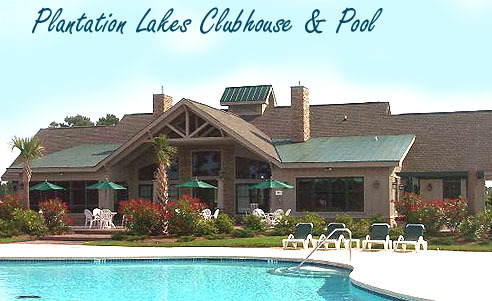 Encompassed by 170 acres of lakes, ponds, palm trees, pines and lush greens; it is a paradise, far enough away from Myrtle Beach to enjoy lower taxes and avoid traffic congestion. Family-friendly amenities such as a clubhouse, 2 pools, fitness center, indoor and outdoor picnic areas, basketball court, lighted tennis courts, lakes stocked with wide mouth bass and a playground are all part of what makes this such a desirable place to live. Homes are priced from $300,000 to over a million and residential lots can be purchased for $40,000 to $200,000 and more.